R&B Sims have nearly 60 years of experience in electrical installations, electrical testing, fault finding and more and we offer a range of electrical services across Surrey and the M25 area, falling into 3 categories: domestic, commercial and industrial. In this section, you can find out more in-depth information about the electrical services that our Woking electricians are able to offer. If there is a service you require that you cannot see listed, please do call us on 01276 488198 as we cover ALL electrical works and can provide a free estimate on all projects on the phone. Our domestic electricians are able to provide a large selection of electrical solutions and services for residential homes. With more and more technology and electrical items being used in the home, more families are in need of additional power sockets and outlets to accommodate for the extra equipment. This could also mean that your wiring may need to be looked at to ensure that the property is safe. In addition, since 2005, electrical modifications in residential properties became subject to building regulations and this means that local authorities now have to be notified of any electrical work carried out on the home. This addition to the building regulations is referred to as ‘Part P’ and R&B Sims are fully qualified and accredited to carry out Part P works. We also perform all of the required local authority notifications on your behalf. Other common electrical services carried out in the home include fuse board changes and upgrades. Upgrading your fuse board to an RCD protected fuse board will ensure that the electrics in your home are safe, protecting your family and other occupants from the risk of getting an electric shock and preventing the risk of fires caused by faulty electrics. Many homes these days still have outdated fuse boards and fuse boxes which means that you and anyone in your home could be at risk. It is recommended that fuse boards are upgraded to remove this risk. We are also able to install sockets with built in RCD protection to reduce electrical risks in the home. These have built-in trips to cut the power supply to the power socket if there is an earth fault in the electrics. RCD power sockets are an alternative to having an RCD fuse board. 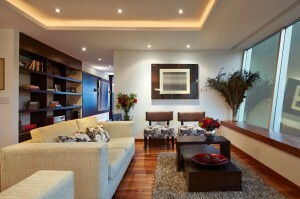 Other domestic services include additional plug sockets and light switches, mood lighting installation, installation of smart home systems (allowing the home’s electrics to be controlled by a central control), smoke detector installation, PAT testing and property rewiring to ensure that wiring is safe and not outdated. We also install fused spurs, which are electrical switches that connect appliances direct to the electrical circuit of your home so that you do not need to plug them in, such as wall switches for washing machines, dishwashers and electric cookers. 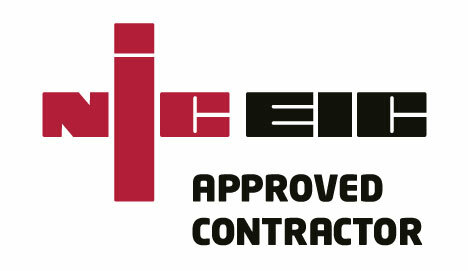 R&B Sims provide a full range of electrical contracting and electrical maintenance services for commercial clients. When it comes to electrics in commercial environments, the Electricity at Work Regulations (1989) require that all electrical installations and electrical equipment to be periodically tested for safety and to ensure that they comply with regulations. Our Surrey commercial electricians are able to carry out such testing to ensure that your business is compliant and all equipment is safe for use by employees. This is usually required every 5 years. 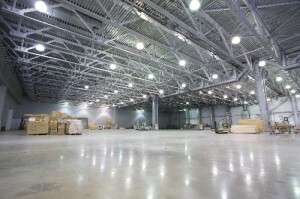 Regulations now also stipulate that all commercial buildings must have emergency lighting installed. 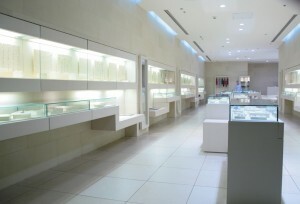 We have a strong commercial engineering background and can design emergency lighting systems, install emergency lighting, carry out regular inspection, carry out emergency lighting testing and certify emergency lighting systems periodically to ensure that your business complies with BS5266-1 regulations. 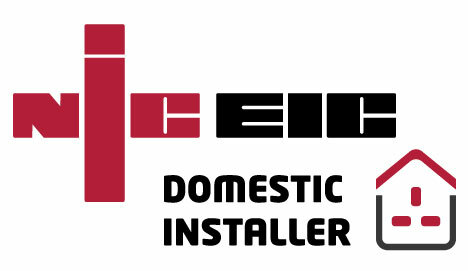 Another very popular service is now advice on energy efficiency and installation of more efficient electrical systems. Please contact us for more information. We can also install additional power outlets and carry out commercial rewires to ensure that your electrical system can accommodate the increased use of technology and electrical equipment in the workplace. Other services also include data cabling, fire alarm system installation, office and retail refurbishments and fault finding. As well as commercial electrical work, we also provide industrial electrical installations, testing and inspection and repairs across South West London. It is essential for all industrial businesses that all machinery is periodically tested, and at R&B Sims we are able to carry out such inspections and testing on industrial equipment to ensure that it is safe, that employees are protected and that you adhere to regulations and comply with insurance requirements. For all of your electrical needs, contact us on 01276 488198, and we will happily provide a free estimate or answer any questions that you have about our electrical services.